The China University of Mining & Technology (CUMT) offers annual scholarships to international students from across the world who intend to study at the University. Since 2013, CUMT has launched a scholarship scheme, the CUMT Scholarship, worth of RMB 5 million, which is aimed at attracting outstanding students to study at CUMT. In addition to the CUMT Scholarship, the university also provides additional one-year scholarships for Chinese language learning to support outstanding students accepted into CUMT's degree programs. Prospective students of non-Chinese nationality who wish to pursue degree programs at CUMT. Applicants should meet the general admission criteria for international students. Applicants’ academic grade point average should reach above 75 out of 100. Two recommendation letters from your academic teachers / professors or employers. Applicants should observe the laws of China as well as the rules and regulations of CUMT. Awards will be based on student’s merit and other specific judging criteria by CUMT Scholarship Committee. China University of Mining & Technology (CUMT), China. The university consists of two parts: one located in Xuzhou, Jiangsu Province, the other located in Beijing. CUMT provides scholarships for outstanding international students who intend to study at the University. The number of awards has not been specified by CUMT. The scholarship is applied to the duration of your study at CUMT. It is renewable annually depending on comprehensive evaluation of the scholarship holders by CUMT. You should be aware that you cannot fail any courses. Additionally your academic performance of average score should be above 75 out of 100 or rank top 50% in all international students. Otherwise, your scholarship may be suspended. Scholarship grants can be used to pay for full or part tuition, housing fee and other university charges. The balance will be transferred directly into your bank account monthly except February and August. RMB 24,000 per year for Doctoral students. RMB 10,000 per year for Doctoral students. CUMT also provides a one-year scholarship for Chinese language learning. This scholarship aims to support those outstanding students who are accepted by CUMT to degree programs, but do not meet the HSK requirements. Class B is RMB 8,000. When awarded the Chinese Language Scholarship, you will need to sign a contract with CUMT to ensure that you will continue your degree programs at CUMT after completion of the Chinese Language learning. If you drop out or transfer to other college/university due to personal reasons, you must make compensation according to CUMT’s scholarship regulations. Signed statement of family incomes in Chinese or English. Authorized Physical Examination Record for Foreigner. Copy of identification card or valid passport. Original academic transcripts, and copy of degree certificates. Other academic awards or achievements which may support you. The application deadline is 20 June. All documents in languages other than Chinese or English must be accompanied by notarized translations in Chinese or English. All the writing in the forms should be in printing and signed. Any incomplete or invalid application will be rejected. The application materials will not be returned regardless of the result of application. For the prospective students, admission results will be announced by International College no later than July 1. 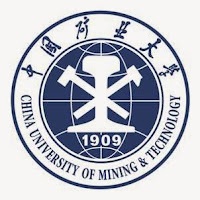 China University of Mining and Technology (CUMT) is a national key university under the direct supervision of the Ministry of Education of China as well as a Project 211 and Project 985 university of China. The university consists of two parts, one located in Xuzhou, Jiangsu Province, the other located in Beijing with the name China University of Mining and Technology, Beijing (CUMTB). The latter is formerly the Graduate School of CUMT. CUMT is a leading multi-disciplinary polytechnic university with mining features.